Clean off chestnuts off with a white paper towel. Use a sharp paring knife to cut an X into one side of each chestnut. This allows steam to escape and keeps them from exploding as they're heated. Arrange chestnuts on a baking sheet or in a shallow pan, with the cut sides up. Roast in oven for 15 to 25 minutes, or until chestnuts are tender and easy to peel. my favorite gift basket is the Holiday Chocolate Planter... yum!! This one looked yummy and I love the tin that comes with it too! love the holiday chocolate platter! I think the holiday tins are pretty cool because you can reuse them later on after the goodies are gone! I'd have to go for the Holiday Gift Basket because then I could try a little bit of everything! I so have never made chestnuts. Are they delicious??? I feel the need to try! Wonderful posting on how to roast chestnuts! You know I'm a follower!! Check out that chocolate and nuts gift basket. It is THE motherload!! I love dried fruit, candy and nuts, so they all look amazing. But maybe my favorite is the 6-Section Assorted Nut Platter. This stuff is so fun to have around during the holidays. Yum! I've never roasted my own chestnuts -what a great idea! I just LOVE roasted chestnut, YUM YUM YUM!!! I've never roasted chestnuts before. In fact, I don't know if I've ever eaten them either. Total deprivation. Ooh, thank you for this chestnut recipe - I've always tried roasting before & I think my problem is I set the temp. too low! Thanks! I was just wondering how you go about roasting chestnuts! I didnt know you could roast chestnuts in the oven!!! I must do this!!! I want to go roast some chestnuts now! I am obsessed with pretzels. Hi girly! 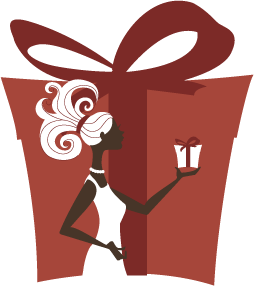 I am so lovely your 12 days of giveaways. I have to go to the grocery store today so I am going to get some chestnuts so I can make them in my oven! I would love the Holiday Candy Tin! Morning. Have you been slammed with snow yet? We sure have up here. Remember when we'd watch Christmas movies and wish we could be in them or at least NYC thats what the chestnuts remind me of! A nut giveaway you know im in. 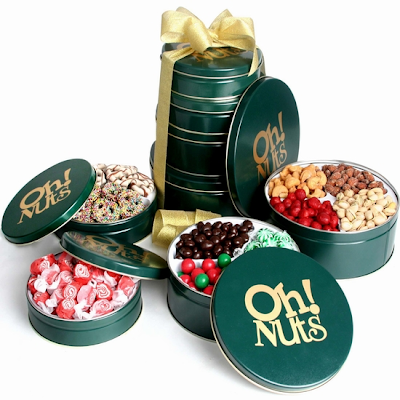 http://www.ohnuts.com/buy.cfm/christmas-nuts-gifts-baskets/holiday-keepsake-tins-gift This one this one!!! I am getting this even if I do not win for the holidays its absolutely awesome and has a bit of everything! Hiiiiii. Roasting chestnuts looks like so much fun! Please come visit and roast them with me. 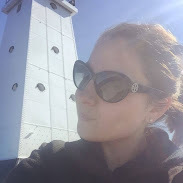 I follower your blog, you are on my blogroll. 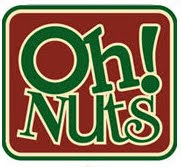 I left love on facebook and I would love http://www.ohnuts.com/buy.cfm/christmas-nuts-gifts-baskets/holiday-treats-4x-gift-basket so cute! oooh I 'd have to choose the medium beaded holiday tray b/c of the pecans and jordan almonds! am a follower + you're on my blogroll. The Keepsake tins are my favorite. The Holiday Chocolate Basket is my favorite.